Hummingbirds are enchanting visitors to any garden. Small, fast, and as aerially sophisticated as helicopters, they zip around, feeding at nectar-rich blossoms. By planting the natural food sources they prefer, you’re sure to welcome these delightful little birds to your garden. Hummingbird feeders are another great way to entice them to your yard, and they’ll begin to investigate these as a possible new food source. Below are some of our favorite perennial plants and products, all of which will entice these remarkable flyers. 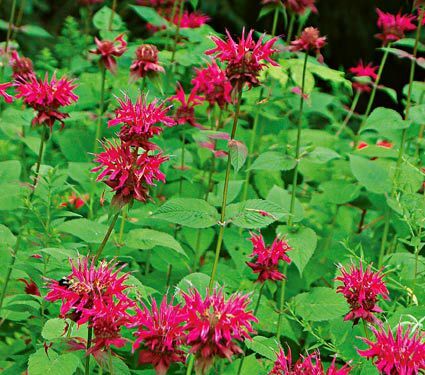 Hummingbirds are drawn to the brilliantly colored, bright magenta-red blossoms of Monarda ‘Raspberry Wine.’ These plants bloom long and hard and show excellent resistance to powdery mildew. A member of the Mint family, this vigorous Bee Balm will spread. Divide plants in spring and share with friends. A White Flower Farm introduction in 1992. Of the 200 species in the genus Asclepias, the best known are North American wildflowers. 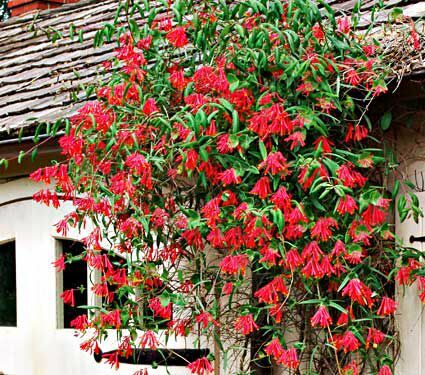 They have small, curiously shaped blooms that appear in dense clusters. 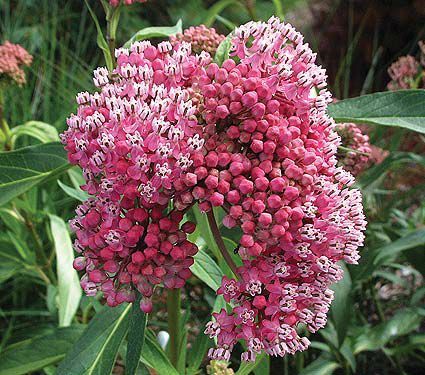 Asclepias ‘Cinderella’ is a genuine star with unusually dense clusters of pale pink flowers that open from dark pink buds. The vanilla-scented flowers last well in winter and attract butterflies and hummingbirds. Agastache is a genus of about 30 aromatic species native to central and eastern Asia, Mexico, and the United States. Careful breeding and selection have given us newcomers that offer exceptional garden performance and a long season of bloom. 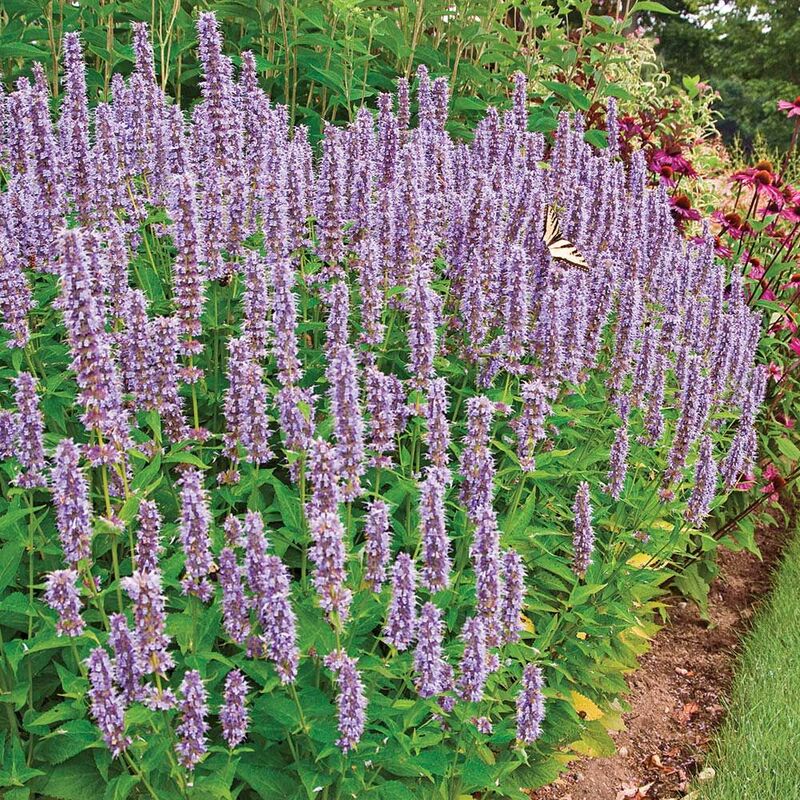 Robust Agastache ‘Blue Fortune’ produces a mass of soft powder-blue flower spikes from July onwards, making it a magnet for butterflies and admiring visitors alike. Bring on the hummingbirds! Lonicera ‘Major Wheeler’ produces a blanket of tubular, reddish orange flowers (coral shades on the West Coast) from late spring through summer. Later, the red berries attract goldfinches and robins. It’s a selection of our native species, Lonicera sempervirens, and plants are both carefree and noninvasive. In addition to enchanting us with their aerial acrobatics, hummingbirds can be a beneficial presence in the garden. A great way to encourage them to take up residence or visit often is to utilize hummingbird feeders. 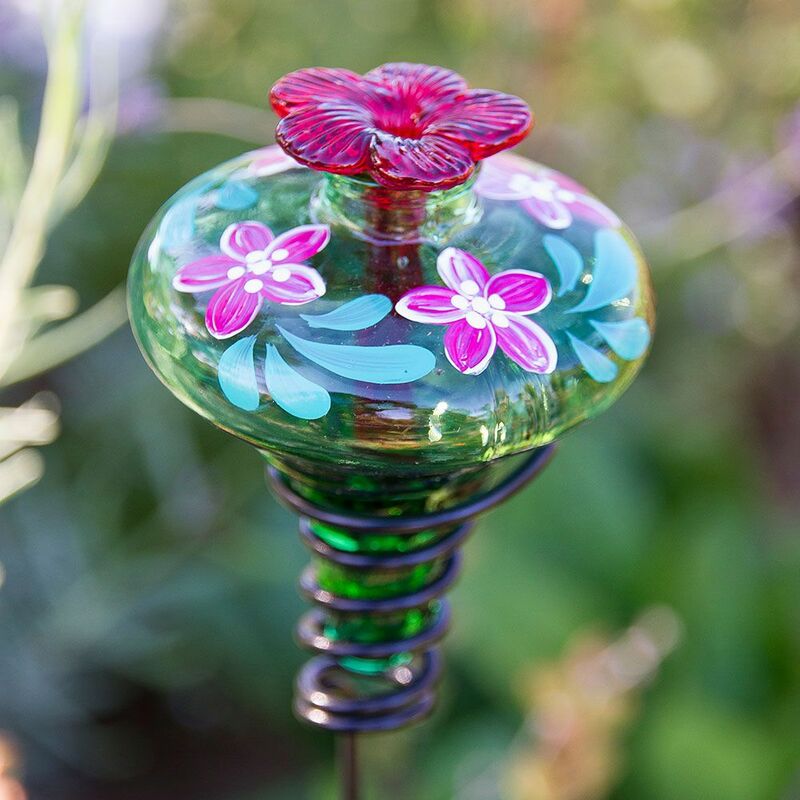 Our Hand-Painted Hummingbird Feeder is made in Mexico from recycled green glass that’s hand-blown in the shape of a blossom then painted by artists. Each brightly colored, beautifully constructed nectar feeder is secured by a metal stand that pushes easily into the ground.